Posted on August 9, 2018 at 1:17 pm. 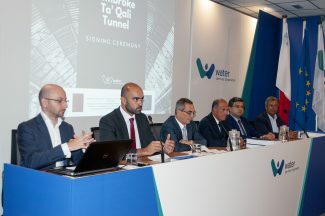 The WSC has signed two major contracts for the boring and construction of a 9.5 km tunnel from the Pembroke Reverse Osmosis plant to the Ta’ Qali Group of Reservoirs. 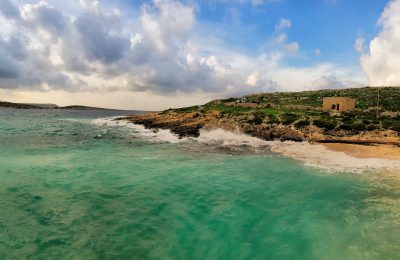 This Project will improve the overall water quality in many parts of Malta and improve operational efficiency and environmental sustainability. This is yet another project forming part of the Water Services Corporation ‘Net Zero Impact Utility’ project. The two signed contracts signify an investment of € 27.5M. The tender for the tunnel boring was awarded to Maltese company Bonnici Bros. Services Ltd. for the value of € 19.3M. The tunnel will be a crucial asset for the Corporation and will allow it to link its largest Reverse Osmosis plant in Pembroke RO to the Ta’ Qali Group of reservoirs via large diameter mains through the most efficient way. This will ensure that all the blending potential of the RO water is exploited and pumping energy reduced to the barest minimum, thereby giving optimal environmental performance. The water transferred from the Pembroke RO will be mixed with groundwater at the Ta’ Qali Group of reservoirs, sampled and finally treated to ensure the best quality blend. The tender for the supply of large diameter glass fibre reinforced plastic (GRP) pipes to be laid inside the tunnel was awarded to the Turkish company Superlit Boru Sanayi A.S. for the value of € 8.2M. One of these mains will also be used to supply high quality blended water to the central part of the island through a centralised hub feeding mainly via gravity. 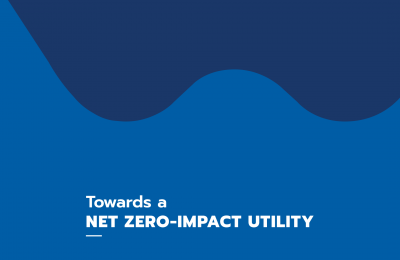 This in full respect of the project’s net zero impact aim through which better service, efficiency and environmental performance will be guaranteed. The pipes in question will be a first for Malta. 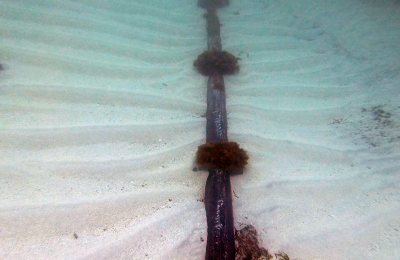 One pipe will comprise an 8km stretch of 1.2m diameter pipe. Each pipe segment is 6m in length and weighs around 1,500 kg. Another main stretching 250m at 1m width will be laid and an 80cm wide pipe will be laid across a 6 km stretch. In total, around 3,000 tonnes of pipework and fittings will be laid in the tunnel. The signing ceremony was witnessed by Minister for Energy & Water Joe Mizzi who commented that the signing of this tender is but one example of the many projects being carried out in the water sector that is improving Malta’s infrastructure and the quality of people’s lives. Mr. Emanuel Bonnici signed the contract for Bonnici Bros, Services Ltd., while Mr. Turgay AYTEKIN signed for Superlit Boru Sanayi A.S. 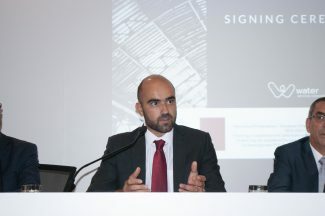 The documents were countersigned by Mr. Anthony Cachia, DG of the Department of Contracts. Water Services Corporation CEO Richard Bilocca explained that this challenging project will ensure better quality water across Malta and a significantly improved environmental performance, implying crucial savings in electricity as well as hundreds of tonnes of CO2 per annum.